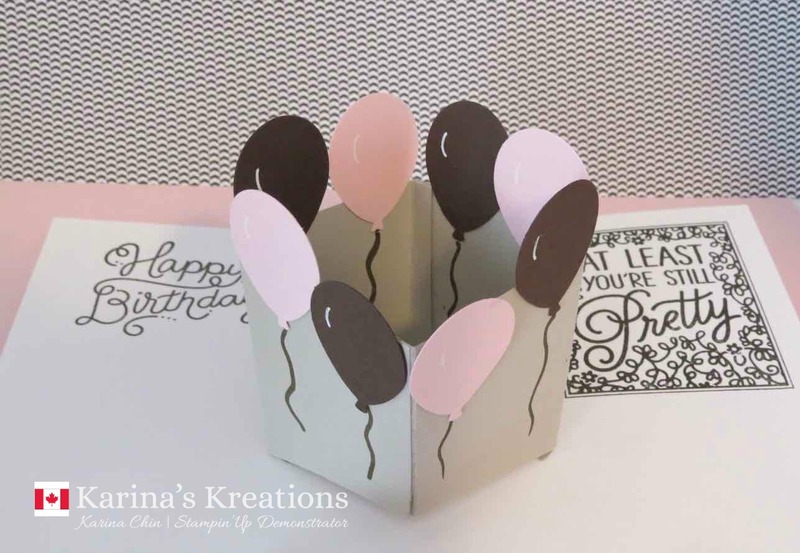 Karina's Kreations: Stampin'Up Birthday Delivery Sneak Peak! Stampin'Up Birthday Delivery Sneak Peak! The new catty is coming out June 1 and this is one of the cute stamp set sets you can order!!! The set is called Birthday Delivery! This set has coordinating designer series paper and framelits that cut out the designer series paper. I'm forecasting that this set and paper will go on the backorder list. The images are just too cute!!! 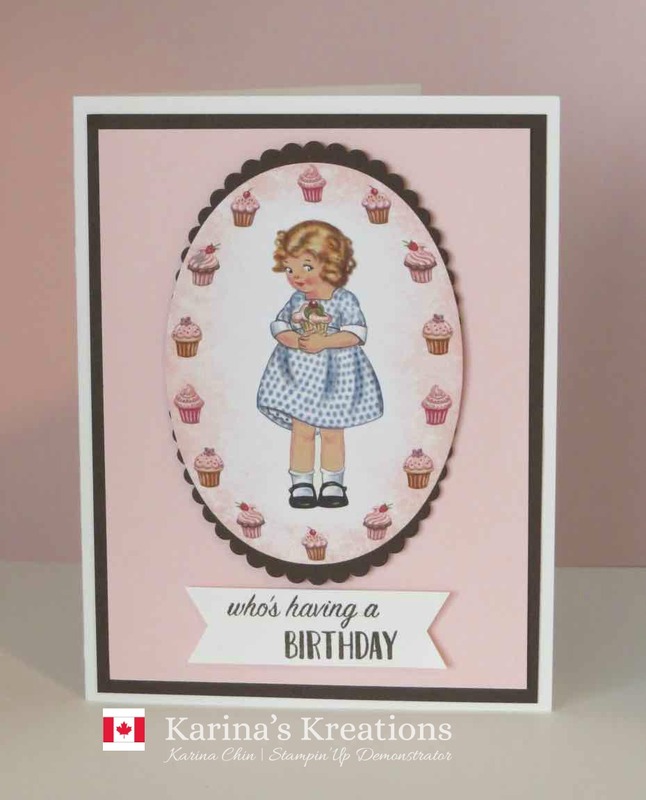 The image was cut using the Layering Oval framelits and popped up with Stampin' Dimensionals. How easy is that? I made the inside of the card a little more challenging and used the Popcorn Box Thinlits Dies #141473 for the inside box. I had to chop it to fit the inside of the card. I'll try to do a video for this card. I used the Balloon Bouquet punch #140609 to punch a bunch of Balloons to add to the card. The fun "at least you're still pretty" stamp comes from the Big on Birthday stamp set #142877. If you want a new catty comes to my New Catty Kickoff Party on June 2 from 9:00-9:00. It's a Buy One Get One FREE Sale too so you'll get FREE product from the new catty with the purchase of retired items!! !